Info-info mengenai peraduan-peraduan di Malaysia sepanjang tahun. Perkongsian bermanfaat untuk semua kaki contest @ compers. Peraduan online (facebook, instagram) dan offline juga. Jom! Stand a chance to win cool holiday packages to Australia, Indonesia and Thailand, plus weekly Sport Gifts Vouchers with “#SayaSihat Bersama Yeo’s contest. Buy any Yeo’s food (canned food, sauce, and noodle) and/or drinks, Yeogurt and/or Cintan (Yeo’s product) worth RM 5.00 in a single receipt. The product’s brand and price must be clearly listed on the outlet Official Receipt with date stated during the contest period. Each purchase worth RM 5.00 in a single receipt is equivalent to one entry. Open your WhatsApp, attach the Official Receipt and type (Full Name, Identity Card Number (NRIC) & Official Receipt Number). Photo must clearly show the name of outlet, date, Official Receipt number, purchase quantity and price of Yeo’s product. Folding of the receipt is not acceptable. Photos must meet minimum visual quality standards. Visible miring, dithering, graininess, blurriness, overexposures, compression artefacts or other degradations to image clarity will not be accepted and will be disqualified. Send your submission through WhatsApp to the phone number 012-2124873. Eligible Contestant will receive an official notification from the Organiser in 1 to 3 working days for each successful submission. Retain photo of Official Receipt for verification purposes. Eligible Contestants may submit as many entries as they wish. 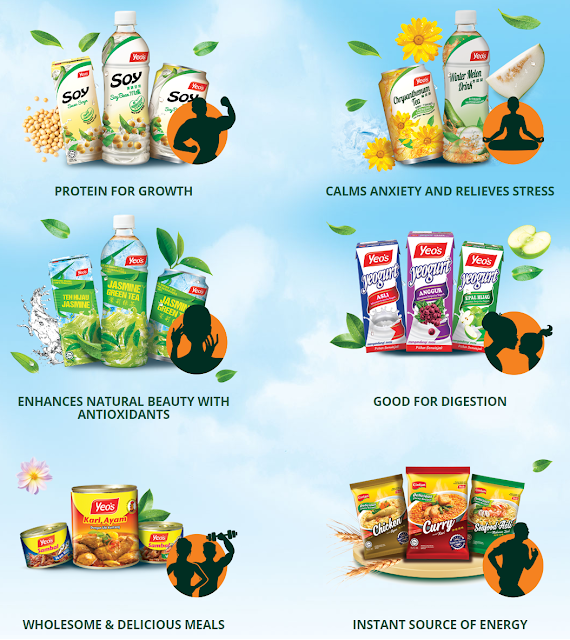 The number of entries accepted will be dependent on the net price of Yeo’s products printed on each receipt. Each purchase worth RM 5.00 in a single receipt is equivalent to an entry (e.g. RM 10.00 = 2 submission). All entries received within the contest period will be eligible for the Grand Prize draw. 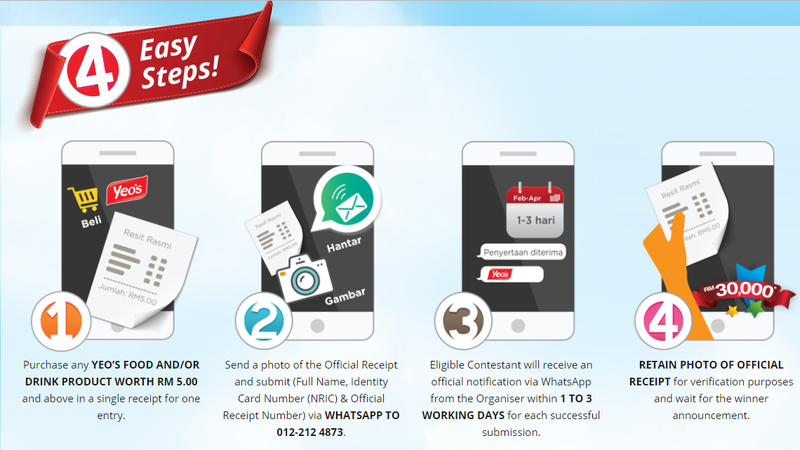 All entries must be received by the Organiser via WhatsApp during the Contest Period. Contest ends on 13th April 2017 at 11.59pm. Hershey's Drink & Win Contest!